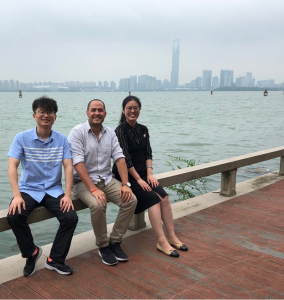 In the morning of July 6th, Dr. Umberto Celano (Senior Researcher, IMEC) visited our group and gave an invited talk titled “Scalpel SPM toward the three-dimensional characterization of confined volumes”. In this talk, he shared his latest work on the use of novel scanning probe microscopy (SPM) tomography to characterize different types of materials and devices. Afterward, we had a lab tour and introduced the development of our institute and group. Dr. Celano is the recipient of the Nano Letters Young Investigator Award and published his PhD thesis as a book in Springer. 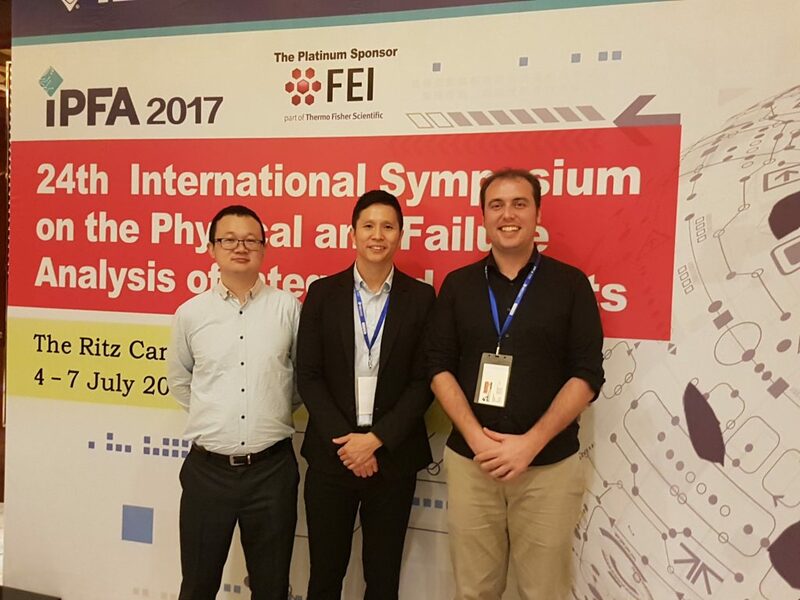 On July 4th – 7th, our group members Shaochuan Chen, Bin Yuan, Xianhu Liang and Mario Lanza participated in the 24th IEEE International Symposium on the Physical and Failure Analysis of Integrated Circuits (IPFA) in Chengdu, China. In the conference, Prof. Mario Lanza was invited to give a tutorial talk on “Conductive atomic force microscopy and its use in nanoelectronic device reliability” and an invited talk on “TiO2/SiOx bilayer insulating stacks for filamentary/distributed resistive switching”. It’s a great experience to take part in the conference and we got the opportunity to interact with the top experts in the field. The use of two dimensional (2D) materials to improve the capabilities of electronic devices is a promising strategy that has recently gained much interest in both academe and industry. In this paper, we develop resistive random access memories (RRAM) using 2D material. We use for the first time layered h-BN as resistive switching medium, and engineered a new family of devices with different perforances. This invention has been protected with an international patent, and the results have been published in Advanced Functional Materials, which has an impact factor of 11.38. This investigation has been developed in collaboration with the Massachusetts Institute of Technology, Stanford University and Harvard University. This breaking report represents an important milestone towards the implementation of advanced digital electronic devices using 2D materials. Schematic, cross-sectional TEM image and typical behavior of the Ti/h-BN/Cu RRAM devices developed in our group. Fei started to work in this project in September of 2013. She has developed a cost-effective and scalable approach to fabricate graphene-coated nanoprobes. Her work was published in Nanoscale and Surface & Coatings Technology, and protected with an international patent. Now, we received generour investment of near 1 million USD fromt the Beijing Institute of Collaborative Innovation to introduce this product in the market. (Left) Standard metal-varnished nanoprobe for CAFM. (Right) Standard metal-varnished nanoprobe for CAFM coated with a thin film of single layer graphene. (Center) Schematic of the graphene coated nanoprobe. The China RRAM International Workshop launches its first edition with the objective of becoming the major forum in China for discussion on resistive random access memories and related applications. Invited speakers includ H.-S. Philip Wong (Stanford University, USA), Ming Liu (IMECAS, China), Paul C. McIntyre (Stanford University, USA), Wei Lu (University of Michigan, USA), Ilia Valov (Forschungszengrum Juelich, Germany), Deji Akinwande (University of Texas, USA), Kin Leong Pey (SUTD, Singapore), Hyunsang Hwang (POSTECH, Korea), Anthony Kenyon (University College London, UK), Luca Larcher (UNIMORE, Italy), Jordi Suñe (UAB, Catalonia, Spain), Felix Palumbo (UTN-CNEA, Argentina). The deadline for abstract submission is April 15th. Selected contributions will be published as special issue in Crystal Research & Technology, a journal from Wiley-VCH. Dr. Hakim Meskine, editor for Advanced Materials family, will give a talk highlighting different publishing opportunities for the RRAM community in Wiley-VCH journals. 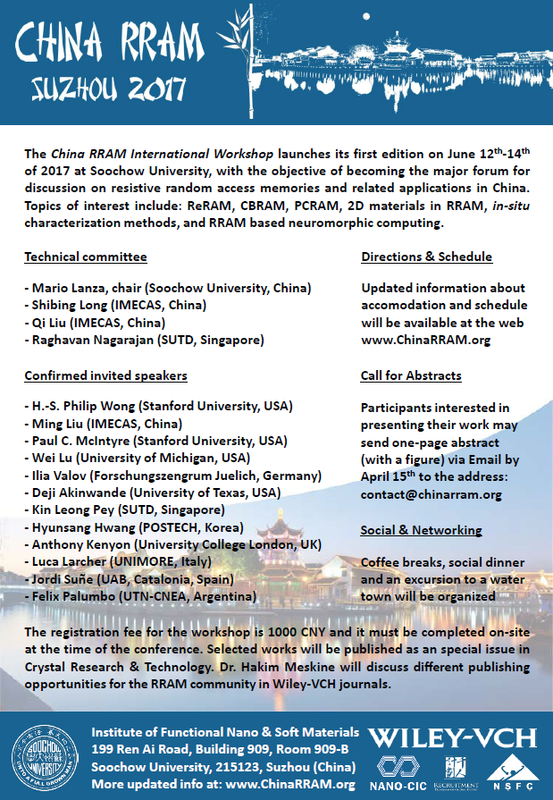 Flyer of the 1st China RRAM international workshop, organized by Lanzalab. Professor Mario Lanza has been recently appointed as member of the Editorial Board of Scientific Reports, a multidisciplinary journal from Nature Publishing Group with an impact factor of 5.228. Prof. Lanza has joined the “Electronics, Photonics and Device Physics Panel”, and he will be in charge of: i) assessing whether manuscripts should be sent for peer review, ii) managing the peer review of manuscripts and make final editorial decisions – whether to accept, reject or allow resubmission, and iii) act as an advocate for Scientific Reports. This is an important achievementand, together with his previous appointment at the board of Crystal Research & Technology (Wiley-VCH), indicates the high influence of Prof. Lanza in the field of electronics and applied physics. Congratulations !!! 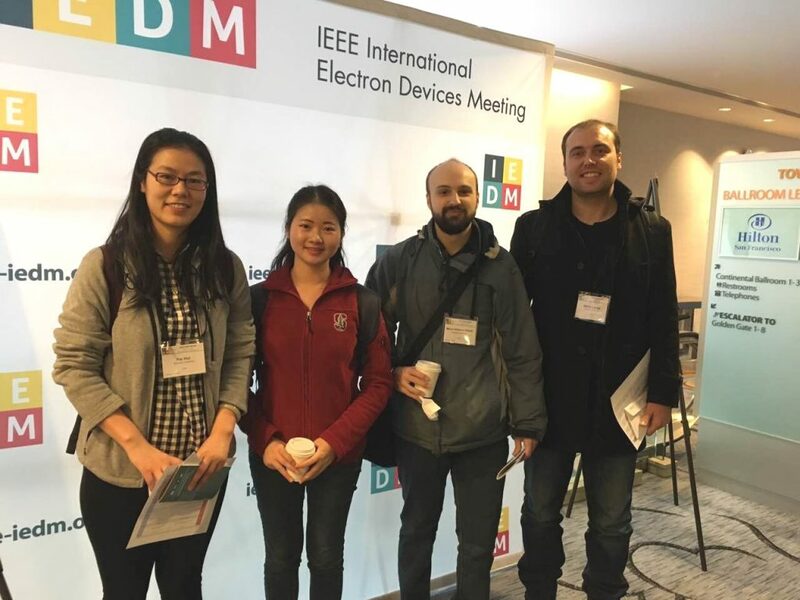 On December 5th-7th, our group members Fei Hui, Yuanyuan Shi, Macro A. Villena and Mario Lanza participated in the 2016 IEDM, which was held in San Francisco (USA). In the conference, professor Mario Lanza gave a talk titled “2D h-BN based RRAM device”. It’s a wonderful experience to participate this flagship conference for electronic devices and meet the world experts in this field. We also had the opportunity to discuss with several friends in the field of RRAM devices. On November 27th – December 2nd, our group member Fei Hui participated in the 2016 MRS Fall Meeting in Boston (USA). Materials Research Society (MRS) is leading world meeting for materials scientists. 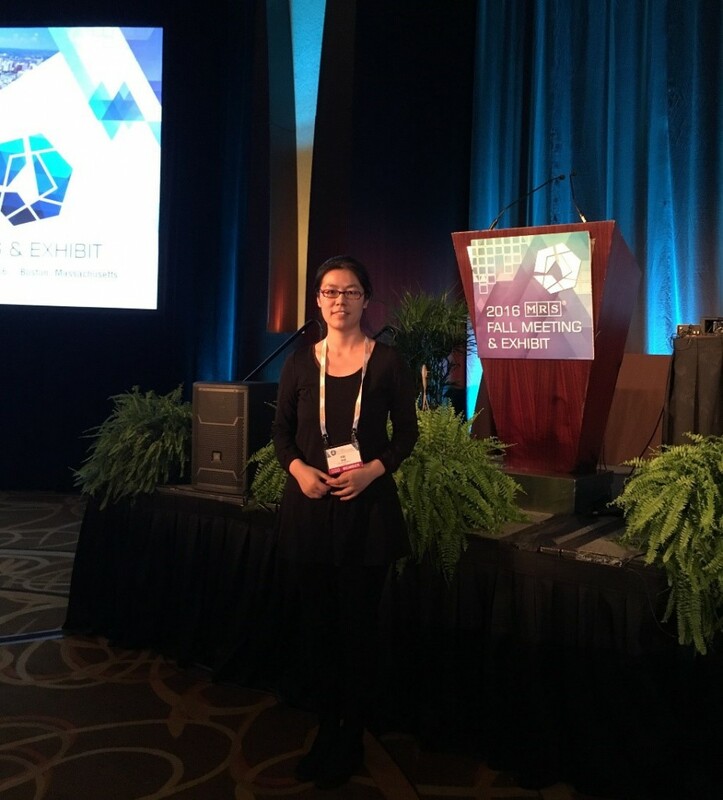 Fei Hui had the opportunity to discuss with world experts in the field of 2D materials based electronic devices. 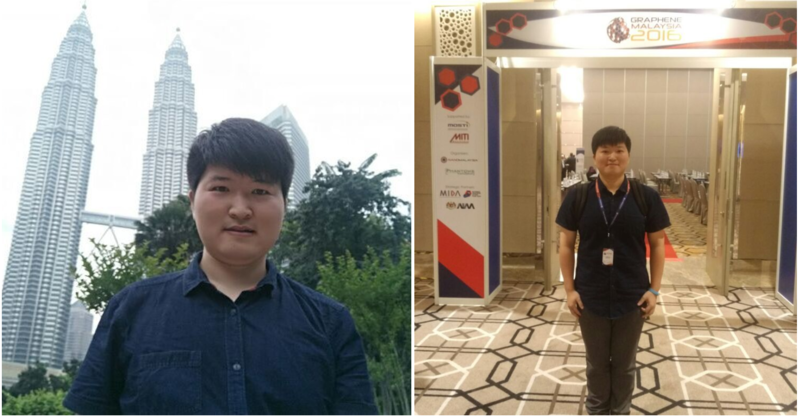 On November 8th -9th, our group member Xu Jing participated in Graphene Malaysia 2016 Conference, in Kuala Lumpur, Malaysia. Xu Jing presented an oral speech about Scalable MoS2 phototransistors with ultra-low power consumption and high light/dark current ratios. He had opportunities to interact, exchange ideas, build new connections with graphene key leaders from all over the world during the conference. 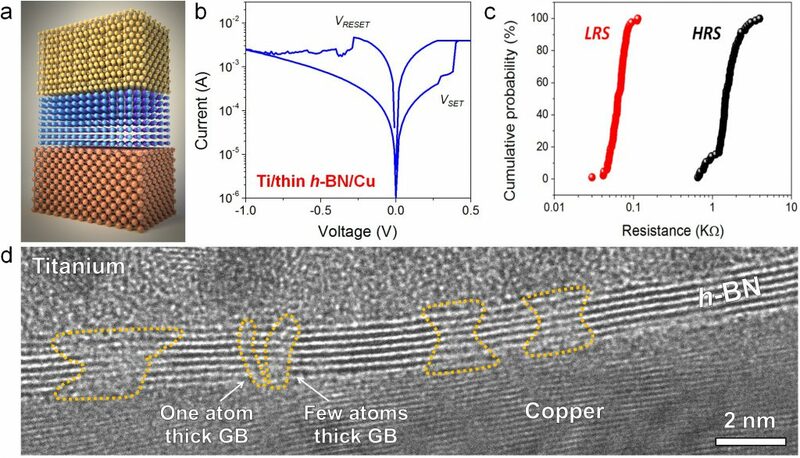 In September, our group member Yuanyuan Shi joined the Stanford nanoelectronics group. This group is leaded by professor H.-S. Philip Wong in Stanford University, who was a senior manager at IBM before. The research of this nanoelectronics group is now focusing on the fabrication and characterization of nanoelectronic devices, chip-in-cell biosensors, brain inspired computing, novel memory and storage devices. And simultaneously, they also work on the the self-assembly for nanoelectronics and device modeling. 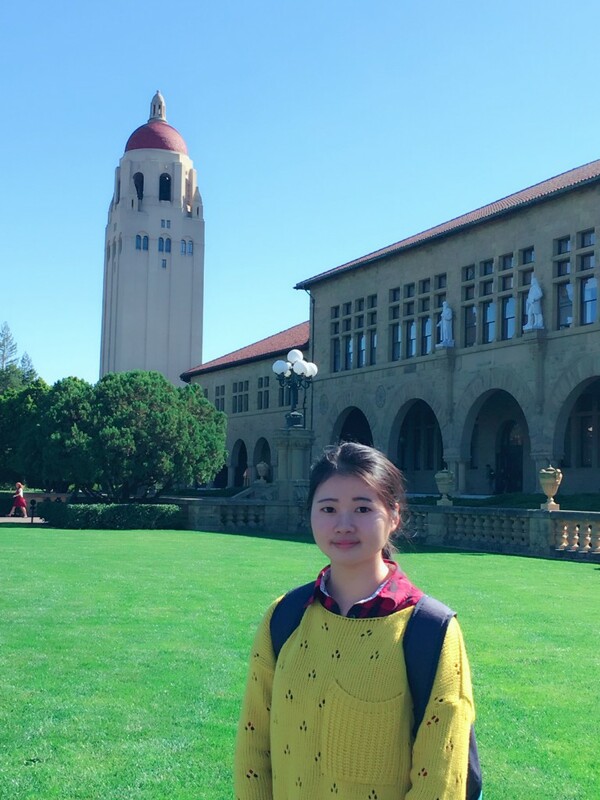 Yuanyuan Shi will start a 2D materials based resistive random access memory (RRAM) program during her time in Stanford University.